some ideas to get you started in prayer. ^^It's all here in one booklet that you can take with you anywhere - on the train, on the bus, to the park at lunchtime, or to your favourite armchair. 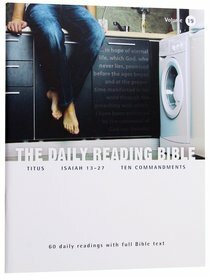 About "Titus, Isaiah 13-27, Ten Commandments (#19 in Daily Reading Bible Series)"